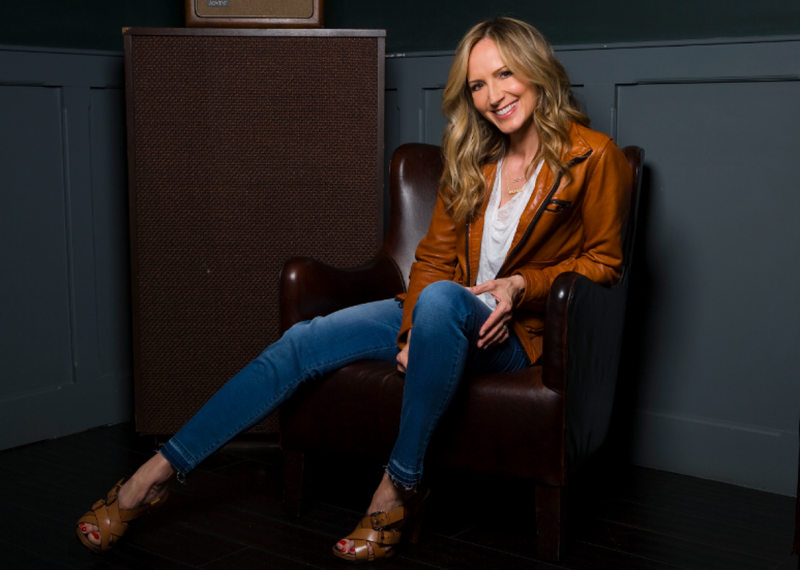 Chely Wright on how coming out shaped her new album, I Am the Rain. “You have to have humility, right? You have to understand you are just a tiny fleck of dust,” says Wright, 45, seated in the tiny, dimly lit SiriusXM radio station’s green room in advance of doing interviews for two shows. “But you also have to understand that your actions can move a mountain, can change a life,” she adds. In preparation for her album’s Sept. 9 release, Wright is camera-ready with impeccable hair and makeup for a day of press events. As she discusses her new project, it’s clear that she is at once miles away from the moment she came out and able to summon the tumult of that time in a flash. She recalls that while the decision strained her relationship with her mother, the two ultimately grew closer in 2014, when her mother, battling cancer, entered hospice care. “I had to lose her to get her back. It was bittersweet,” says Wright, eyes welling with tears. In the moments they shared together, Wright played demos of her new songs. Moved by her mother’s joyful reaction to the music, Wright embarked on a highly successful Kickstarter campaign—the most-funded of any country record on that platform—which helped fuel the recording and production of her music. The album, Wright’s eighth and first in five years, is a collection of characters, opinions, and moods that draws listeners into its world. It’s reminiscent of Carole King’s Tapestry, not so much for its musical flavors, but because it’s the perfect record to absorb end to end through headphones while lolling on a bed on a rainy day. There are no steering wheel fist-pounders like Wright’s hits “Shut Up and Drive” and “Single White Female.” She trades that pacing for a soulful Americana set that tackles such subjects as religious hypocrisy, forgiveness, and the rudderless, somewhat scary state of being in love. The set features vocal collaboration with luminary Emmylou Harris on the delicate “Pain,” as well as a gorgeous interpretation of Bob Dylan’s “Tomorrow Is a Long Time,” featuring The Milk Carton Kids. Blitzer and Wright, who live with their boys in New York City, inspire the type of headlines that offer a rare glimpse of a post-gay world: “Country’s hottest wives,” proclaimed the website Taste of Country when they wed. The article’s comments, however, are a mirror of our current state of affairs: “A slap in the face to country fans! !” says one; “Beautiful couple,” says another. Despite advances like marriage equality, Wright cautions that we are a ways from living in a world where being gay is incidental. “I just got a letter from a 23-year-old woman in Bellingham, Washington, who got outed. She’s in college, but her parents have completely cut her off,” she said. Wright still receives letters from viewers of Wish Me Away who say she saved their lives.